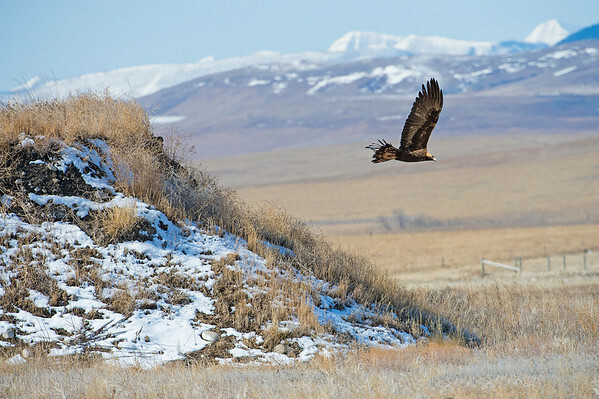 Eagles such as this Golden Eagle, arrive when the gophers start coming out of hibernation. The are also attracted to ranches and farms at this time when the cattle are having calves. Like many other predators they feed on the afterbirth.